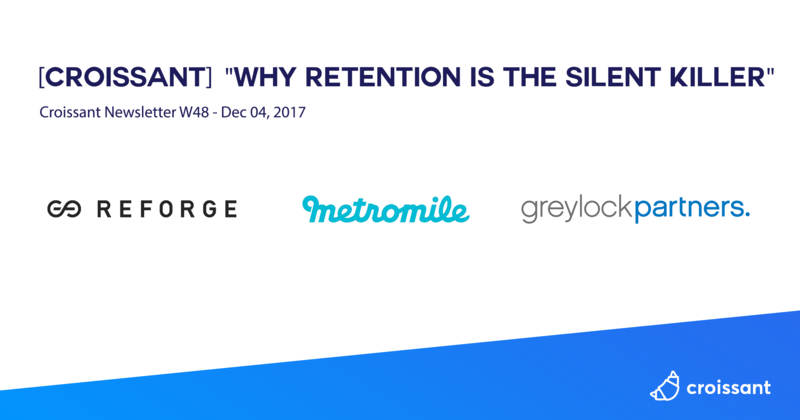 "Retention is stealthy and can be misleading in the short-term because it takes time, often years, to see its impact on your company’s growth. To truly understand how it drives the health of your product, you need to take a longer term view - at least one year, preferably multiple years. But taking a long-term view on growth can be challenging. Most companies and teams operate with short-term goals (quarterly, monthly, or even weekly). As a result, organizations and teams tend to deprioritize retention initiatives, as retention doesn’t initially present itself as the burning problem or impactful opportunity that it actually is." [Article] What Are Growth Teams For, and What Do They Work On? "Is this marketing being re-branded? Who does this team report to? What is the goal of it? What do they actually work on? When do I start a growth team for my business? The purpose of growth is to scale the usage of a product that has product-market fit. You do this by building a playbook on how to scale the usage of a product. A playbook can also be called a growth model or a loop. Growth teams have a clear purpose, and that purpose makes sense only if you have first found product-market fit. Once you have that, you will find traditional product and marketing lacking in their ability to help scale usage of your product. That’s where growth teams come in. Growth teams use data and qualitative research to help understand the frictions that prevent more people from finding the value in your product. That can mean acquisition, but it can also mean reducing friction in the core product, working on conversion or onboarding, or finding ways to remind existing users about the value you’re creating. " "A mental model is a framework that we use to make decisions, explain concepts, or make sense of the world. Understanding mental models helps you increase self-awareness in the cognitive principles behind what you think and why you think them. For product managers, this practice is especially important. Product managers aren’t developers, marketers, or salespeople. They’re a little bit of each. PMs don’t just have to understand and eliminate their own biases — they have to dig in and understand what makes their users tick. Below, I’ve included some of the mental models I’ve found most valuable for each stage of growing a product, and how to apply them." 1 - Greater engagement: The number of unique new users generating reviews grew by over 42%. 2 - Increased feature adoption: After launching a flow to show users how to install their reviews tab, they saw installation numbers for that feature grow by around 300%. 3 - Improved retention: 1-week new user retention grew by 50% and 2-week retention grew by over 60%"
"Your brand is every single touch point your customer has with you during their journey.” This is how Bill Macaitis, Slack’s former CMO, described brand during a recent interview. This definition truly emphasises just how encompassing your brand is. But let’s also take this moment to get a few things straight. Your brand is not your tagline. And your brand is not your website visuals or pretty slide decks. Your brand is intangible, it has no form, and you as a company do not own it. You can help shape it, but ultimately your brand only exists in one place; people’s minds." "You've heard it before - You need to pinpoint "fit" and "intent". Fit = are they an ideal customer for you and your operation? Intent = are they interested in buying a solution right now? Your solution? The problem with weak mid-funnel marketing is it doesn't do a good job identifying either of these angles. That's "shallow" lead qualification. We want "deep" lead qualification." "With 2018 fast approaching, we asked 20 marketing experts for the growth marketing trends, tactics, and strategies they see taking center stage in 2018. We’ve organized their responses into 6 categories: 1 - SEO/Content. 2 - Data and Analytics 3 - Paid Acquisition 4 - Artificial Intelligence and Machine Learning 5 - Video and Live Streaming 6 -Other Channels and Strategies"